I love sunflowers. It is impossible for me to look into their cheerful faces and feel depressed. 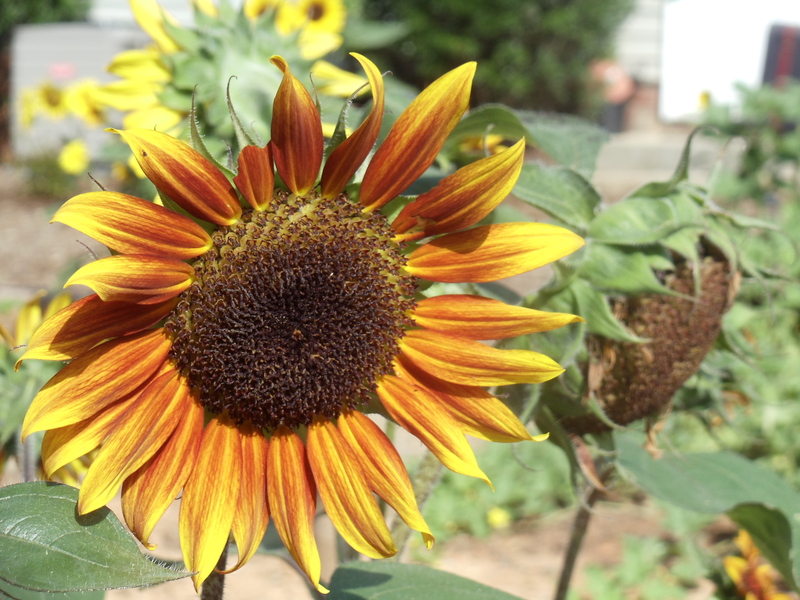 I have several varieties of sunflowers near the entrance to my garden to set the mood. My garden is my happy place! 1.) 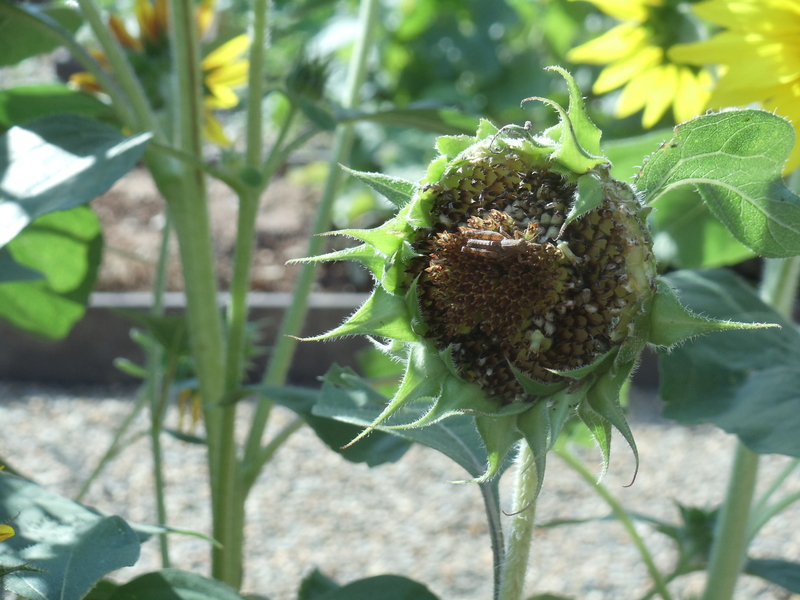 Sunflowers actually turn their heads as the day goes by to follow the sun. 2.) The goldfinches that visit our yard sit on them and peck the seeds out for breakfast. 3.) 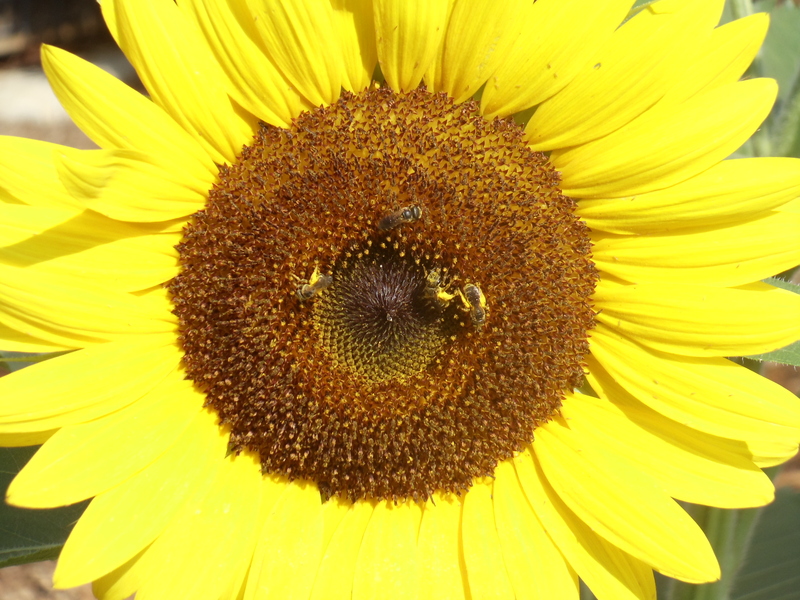 Bees and butterflies are attracted to sunflowers, too. 4.) Sunflowers make people happy just to look at them. What if I kept my face to the Son all day long? Maybe it would change me. Maybe I could attract others by being a reflection of what (whom) I follow. Maybe my life would produce fruit, which would, in turn, feed others. Maybe people would be uplifted by being around me. Maybe they would look for the Son, too. Digging deeper: Is this analogy too simple for you, or just simple enough? Have you ever known anyone who has such a faith that it seems to radiate from their face? Could you grab some for yourself? Let’s pray: Dear God, sometimes it feels like everyone else has their face to the light, and I’m groping around in the dark. Help me to seek your face all day long so that I may be a reflection of your glory. In Jesus’ name, amen. I love this post. It made me smile. Thank you for sharing your thoughts! Well thanks for dropping by! 🙂 I’m glad I could make you smile. OMG, I love this, Wendi! 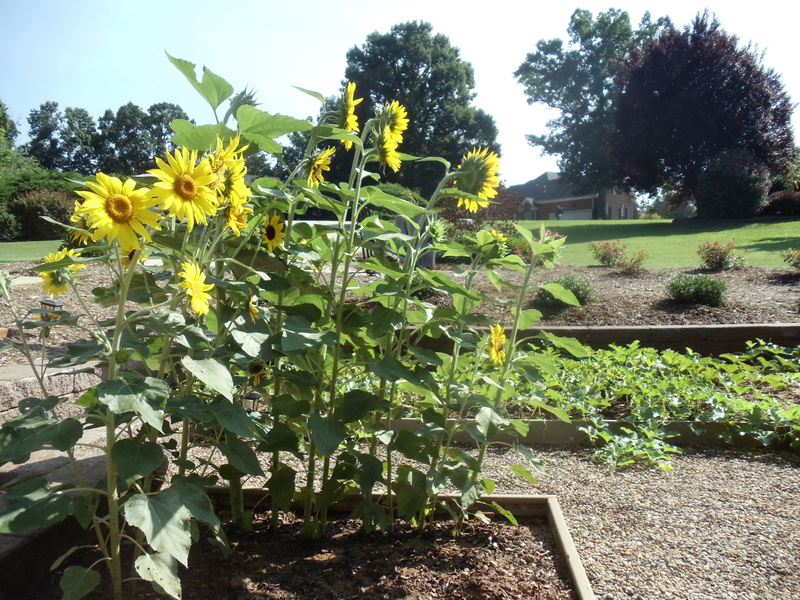 Don’t you just love it that sunflowers follow the Son! I mean the sun! 😉 I wrote a post about sunflowers too. If you have time you could ck it out. Thanks so much for sharing this.